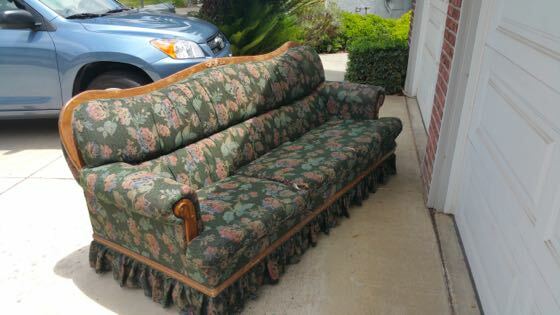 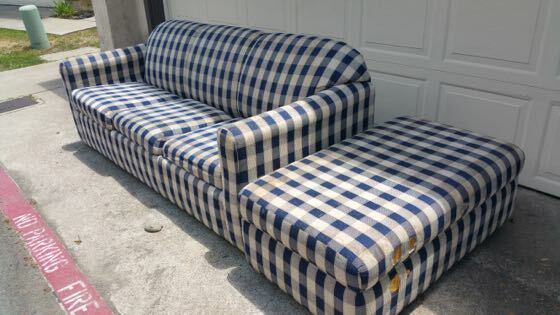 We hauled away this hide-a-bed sofa and ottoman in Rancho Penasquitos for $79 . 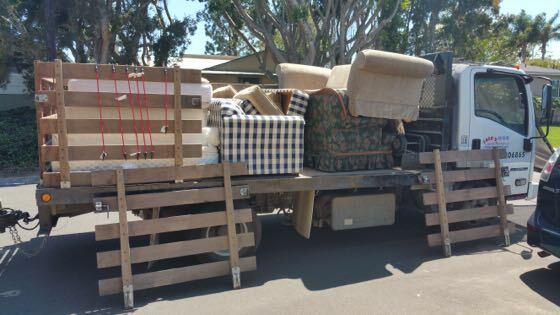 Our junk removal truck loaded up with couches and mattresses. 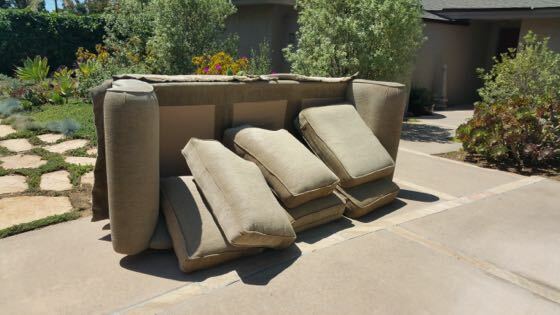 I guess you can see now that we dispose of a lot mattresses and couches.